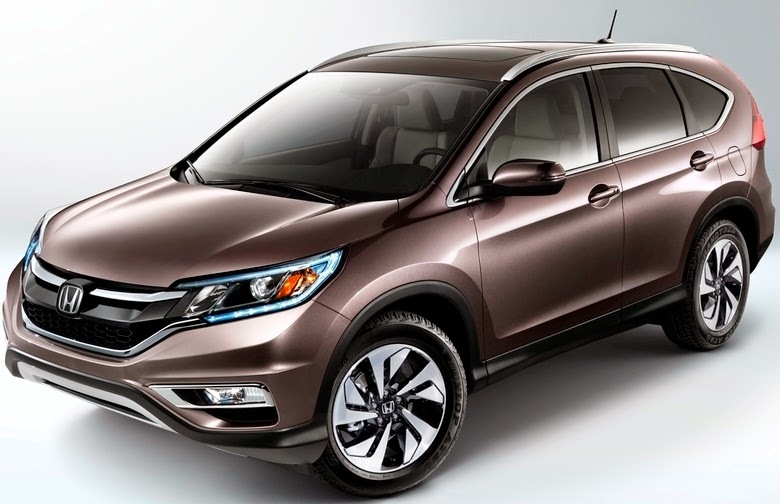 The new 2015 Honda CR-V mid-model cycle refresh includes a new Earth Dreams Technology™ 185 horsepower 2.4-liter direct-injected DOHC i-VTEC inline 4-cylinder engine mated to a continuously variable transmission and a new suite of Honda Sensing™ such as Forward Collision Warning and Collision Mitigation Braking System™. The 2015 CR-V, that starts at $24,150 (including $830 destination charge), has increased EPA fuel economy ratings of 27 city /34 highway/29 combined MPG for front-wheel-drive models and 26/33/28 mpg for Real Time AWD models, both increasing +4/+3/+3 mpg over 2014 models. There's an updated suspension design with Vehicle Stability Assist™ 15 and Motion-Adaptive Electric Power Steering. The CR-V EX adds 7-inch Display Audio, a 10-way power driver's seat, heated front seats, Honda LaneWatch™, Smart Entry/Push-Button Start and LED daytime running lights. 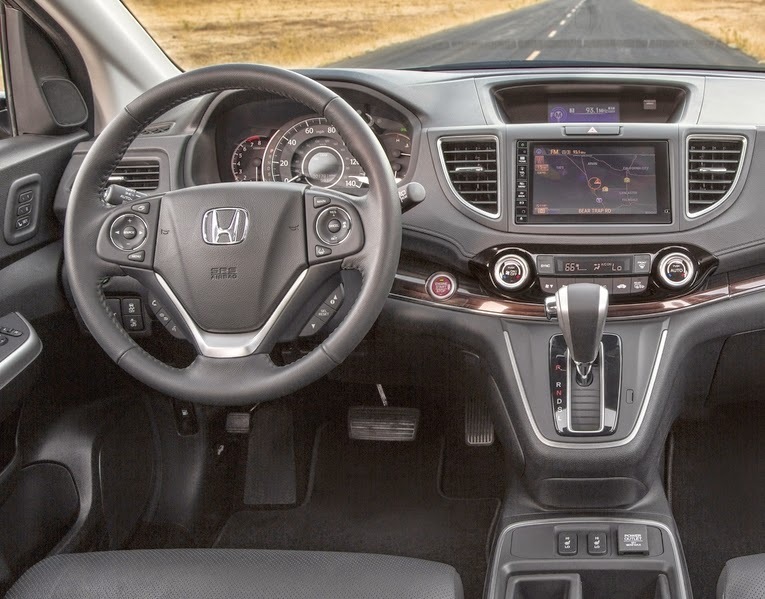 A new top-of-the-line Touring trim includes the first Honda application of two advanced driver-assistive technologies, Collision Mitigation Braking System™ and Lane Keeping Assist System, and Adaptive Cruise Control. The new 2015 Honda CR-V launches at Honda dealerships nationwide tomorrow. The new McLaren 625C British sportscar (‘C’ stands for ‘Club’) with a 616 horsepower 3.8-liter twin turbo V8 powerplant, joins the McLaren 650S and McLaren P1 in the McLaren line-up, and is regionally tailored aimed at the Asian market launching immediately in Hong Kong, with Coupe and Spider bodystyles. Acceleration from zero to 62 mph takes just 3.1 seconds, reaching 124 mph in 8.8 seconds for the Coupé. Selected other markets across the Asia Pacific region will be announced in the coming months. The new Mercedes-AMG C63 driven by an all new 4.0-liter V8 biturbo engine, closely related to the engine in the Mercedes-AMG GT, with 469 horsepower in the C63 and 503 horsepower in the C63 S mated to the AMG SPEEDSHIFT MCT 7-speed sport transmission will come to the U.S. in March. The C63 S accelerates from zero to 60mph in 3.9 seconds and the C63 in 4.0 with a top speed of 155 mph. Standard equipment on-board the C63 includes enhanced drowsiness warning system ATTENTION ASSIST and COLLISION PREVENTION ASSIST PLUS, which helps to avoid rear-end collisions. The MINI 5 door, with an overall length that's 6.3 inches longer than the new standard MINI, provides the three back seats with 2.8 inches more foot space and legroom. The MINI 5 door models with MINI TwinPower Turbo Technology will be the MINI Cooper One 5 door with a 102 horsepower 3-cylinder gas engine or the MINI One D 5 door with a 95 horsepower 3-cylinder diesel engine, the MINI Cooper 5 door with a 136 horsepower 3-cylinder gas engine or the D 5 door with a 116 horsepower 3-cylinder diesel engine, the MINI Cooper S 5 door with a 192 horsepower 4-cylinder gas engine or the MINI Cooper D 5 door with a 116 horsepower 3-cylinder diesel engine, and the MINI Cooper SD 5 door with 170 horsepower 4-cylinder diesel engine. All are mated to a 6-speed manual transmission with an available optional 6-speed Steptronic transmission except for the MINI One D 5 door and there's a 6-speed Steptronic Sport transmission for the MINI Cooper S 5 door and the MINI Cooper SD 5 door. Not sure how many variants will be offered in the U.S.
Driver assistance systems include: MINI Head-Up-Display, Parking Assistant, rear view camera and Driving Assistant including camera-based active cruise control, collision and pedestrian warning with initial brake function, high beam assistant and road sign detection. The MINI Hardtop 4 door with its World Premiere in Paris next week, has a wheelbase that has been extended by 2.9 inches making the luggage compartment around 30 percent larger than the 3-door model, with a volume of 13.1 cubic feet. The new MINI Hardtop 4 door will have two new generation engines at the U.S. market launch, with three or four cylinders using MINI TwinPower Turbo Technology and power ranging from 134 to 189 horsepower. The MINI Superleggera Vision roadster concept is a collaborative hand crafted electric-powered vehicle from British MINI and Italian design and body manufacturing specialist Touring Superleggera. Infiniti Q80 Inspiration, a top-of-the-line, four-seat fastback concept with a high-performance and efficient hybrid-electric powertrain, measures 198.9 inches on a long wheelbase of 122.2 inches framed by custom 22-inch five-dual-spoke lightweight alloys will be shown at the Paris Auto Show next week. Notice there are no side-door mirrors. General Motors Cadillac brand, with operations in more than 40 countries, will become a separate business unit with a new global headquarters opening next year in the heart of New York at a multipurpose brand and event space with modern loft offices. The majority of functions with oversight and responsibility for both global and U.S. operations will be located at the new global headquarters, while there will be no change to technical product development teams located in Michigan or manufacturing and assembly operations. Cadillac management is reviewing options for which specific staffs will be based in New York and which will remain in current locations. Cadillac had 28 percent global growth last year and an increase of about 10 percent so far this year with China sales up 75 percent year to date. Cadillac's new President Johan de Nysschen, who took over in August, will be responsible for the brand’s overall operational performance. 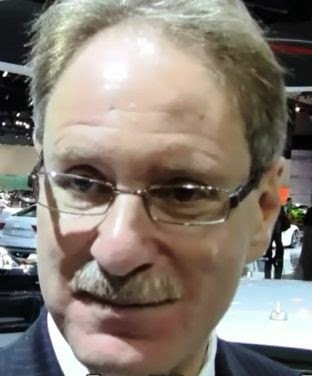 de Nysschen came to Cadillac from Infiniti global headquarters in Hong Kong, where he ran Nissan's luxury brand, and prior to that was President of Audi of America. 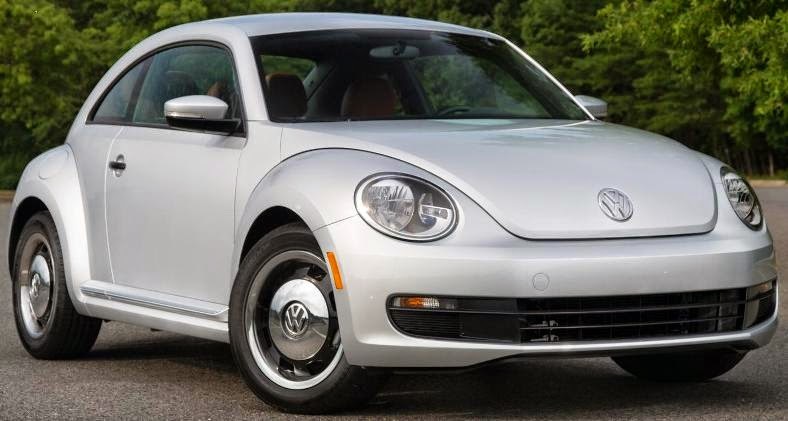 The limited-edition Volkswagen Beetle Classic model, with the 170 horsepower 1.8-liter turbocharged and direct-injection TSI® four-cylinder engine mated to a six-speed automatic transmission, goes on sale this week, starting at $21,015, (including the $820 Destination and Handling charge) for the 1.8T Coupe. The Beetle 1.8T Coupe has an EPA estimated highway fuel economy rating of 33 mpg. The Classic trim features 17-inch “Heritage” aluminum-alloy wheels, a rear spoiler, a leather-wrapped shifter knob and handbrake lever, Sirius XM® Satellite Radio, an RNS® 315 navigation system, a multifunction steering wheel, two-tone brown “Sioux” leatherette and checked cloth seating surfaces, comfort front seats with driver’s side lumbar support. The Beetle Convertible Classic will go on sale early in 2015, starting at $26,815 and gets 32 mpg. The 2015 CR-V goes on sale October 1, but complete information on the newest version of the best-selling SUV in America won't be available until September 30th. 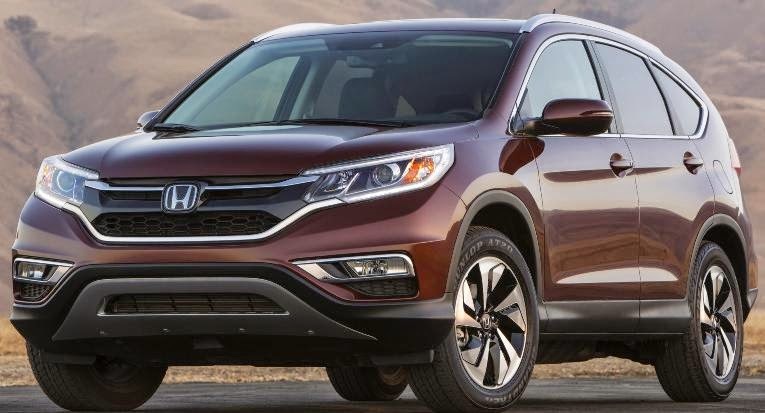 Through the end of August Honda CR-V sales are 217,293, up 4.6% over 2013. The all-new Volvo XC90 R-Design version, with a choice of Drive-E powertrains offering up to 400 horsepower, joins the Momentum and Inscription trim levels for sale in the U.S. Volvo says the focus is on a sporty and dynamic aura with a different grille, lower front spoiler, window in silk metal, and a R-Design dual tailpipe surround, integrated bright roof rails and mirror covers in matte silver. There are 20-inch or optional 22-inch R-Design alloy wheels. The R-Design gets a tablet-like center console touch screen and a 12.3-inch fully graphical driver display along with all-new in-car control that is virtually button free to access a range of Internet and cloud based products and services. Look ma, no driver. It's the Audi A7 Traffic Jam Pilot prototype that will hit the streets of California after the state put into place a range of new regulations that govern the testing of automated driving. Audi will be the first company to receive a newly established autonomous driving permit issued by California. Audi has conducted research over tens of thousands of miles in Europe. Audi was the first automotive OEM to receive one of the red autonomous vehicle license plates issues by the State of Nevada and also the first automaker to demonstrate the capability of its automated driving technologies on a Tampa expressway designated as an autonomous and connected car test bed. Audi, its Electronics Research Lab and Stanford University engineers collaborated on the development of the Autonomous Audi TTS Pikes Peak car, which successfully completed the challenging 12.42-mile route of the Pikes Peak International Hill Climb race in Colorado in 27 minutes without a human in the car. The research is aimed at preparing a highly automated Piloted driving system for freeway traffic conditions that Audi envisions could be ready for consumer introduction within five years. 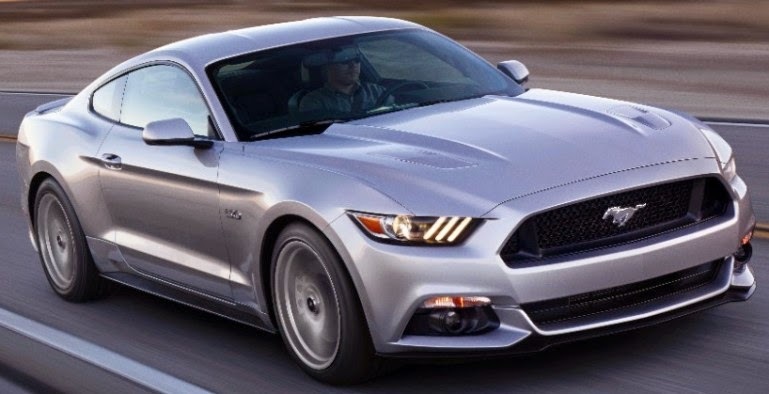 The new 2015 Ford Mustang, which debuted last December on its own at an awkward time just a few weeks after the Los Angeles Auto Show, offers a choice of a 300-horsepower 3.7-liter V6 engine, 435-horsepower 5.0-liter V8 engine, or an all-new 310-horsepower 2.3-liter EcoBoost® engine that uses direct injection, variable cam timing and turbocharging. A reworked automatic transmission has new steering wheel-mounted shift paddles. The all-new Mustang has a lower, wider stance with a reduction in roof height, wider rear fenders and track, more steeply sloped windshield and rear glass, and, three-dimensional tri-bar taillamps with sequential turn signals. Tech features include Intelligent Access with push-button start to SYNC® and MyKey® plus standard Track Apps™, MyColor® gauges and a new Shaker Pro Audio System. An all-new inflatable airbag restraint design provides the front seat passenger with knee airbag protection. The new Mercedes-Benz S550 PLUG-IN HYBRID, based on the Mercedes-Benz parallel hybrid modular system, joins the new S-Class with 436 horsepower coming from an engine combination of a V6 biturbo and intelligent hybrid drive that goes from 0 to 62 mph in 5.2 seconds and drives electrically for up to 20 miles. The hybrid transmission is based on the 7-speed automatic transmission with an additional clutch integrated between combustion engine and electric motor. The S550 PLUG-IN HYBRID decouples the combustion engine during purely electric operation and, if the combustion engine is employed, it affords the possibility to move off drawing on the performance of a wet start-up clutch. The clutch then substitutes for the torque converter and requires no additional space owing to its complete integration in the torque converter housing. The high-voltage battery can be charged via external electricity mains using a 3.6 kW on-board charger. 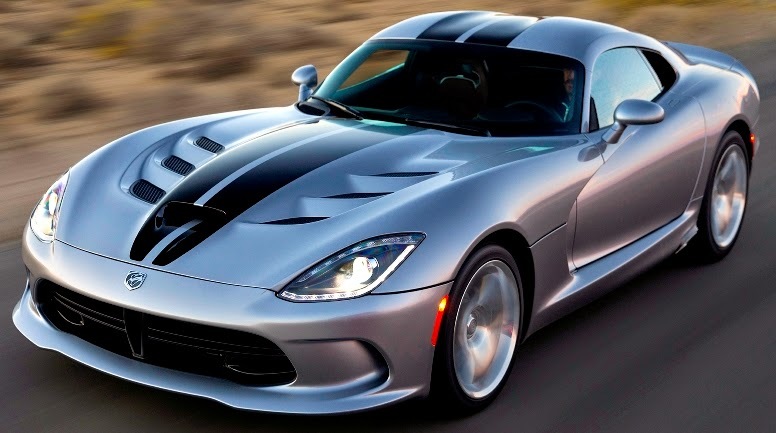 The 2015 Dodge Viper (SRT above) powered by a 645 horsepower8.4-liter V-10 engine mated to a Tremec six-speed manual transmission delivering up to 20 miles per gallon on the highway will have a starting MSRP of $84,995 (all prices exclude tax, title, license, destination and gas guzzler tax). The new starting price is $15,000 less than the 2014 model it replaces. Vipers will start arriving in more than 2,300 Dodge dealerships in the first quarter of 2015. Effective immediately, all existing 2014 model year Vipers in dealer inventory will also be re-invoiced and receive the $15,000 price reduction. New packages and new colors, include: the SRT with new accent stitching on the seats and instrument panel, Alcantara accents on the doors and instrument panel and ‘Viper’ badged aluminum sill plates, the GT, a new model with Nappa leather seats with Alcantara inserts, Alcantara accents on the doors and IP, ‘Viper’ badged aluminum sill plates, two-mode suspension, five-mode ESC, ‘GTS’ hood and two-piece StopTech slotted rotors, the GTS Ceramic Blue Special Edition with an exclusive Ceramic Blue exterior color and Black stripes, the TA 2.0 Special Edition with high-performance Aero Package, and the High-impact Y’Orange, Stryker Orange and Stryker Purple exterior colors. 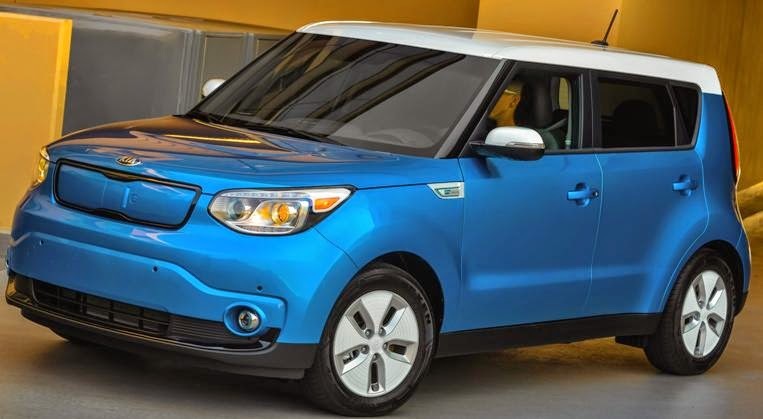 The 2015 Soul EV will be $33,700 (not including federal tax rebate of $7,500 and excluding destination and handling, taxes, title, license fees, options and retailer charges) for the Base and $35,700 for the Plus model (not including federal tax rebate of $7,500). With an expected introductory lease price of $249 per month. The Soul EV has an EPA-estimated range of 93 miles and MPGe of 92 miles on the highway and 120 miles in the city (105 miles combined). The 2015 Soul EV will be equipped with navigation, Rear Camera Display, Bluetooth® hands free operation, 6.6kW on-board charger and an exclusive HVAC system designed to extend driving range by minimizing energy draw. Also, every Soul EV comes standard with UVO EV Services, which provide real-time battery-level status, distance to empty, and the ability to search for nearby charging stations. From the UVO EV smartphone app, owners can preset charging time and charging level ratios, as well as precondition the vehicle cabin with remote control of the HVAC presets. The new 2016 Mercedes-AMG GT two-seater sports car, the second developed entirely in-house by Mercedes-AMG, has a 456 horsepower AMG 4.0-liter V8 biturbo engine and, the GT S model with 503 horsepower, and are mated to a seven-speed dual clutch transmission in a rear transaxle configuration. Various modes are available: "C" (Controlled Efficiency), "S" (Sport), "S+" (Sport Plus) and "I" (Individual). The manual "RACE" drive program, reserved exclusively for the GT S, optimally adjusts the shift strategy of the dual clutch transmission to the needs of racetrack usage. 0 - 60 mph is under 4 seconds for both variants and top speed around 190 mph. The U.S. will first launch the 2016 AMG GT S in the spring of 2015 and the AMG GT will launch in the following year. The new BMW 2 Series Convertible follows the 2 Series Coupe that arrived in earlier this year and is more than 30 percent more efficient than its 128i predecessor. It's coming to the U.S. as the 228i with a 240 horsepower 2.0 liter four-cylinder twin-scroll turbocharged engine mated to an 8-speed sport automatic transmission accelerating from 0-60 mph in 5.7 seconds for an MSRP of $38,850 (including $950 destination and handling). The 228i xDrive with the all-wheel drive system will cost $40,650. The M235i convertible, a near 20 percent improvement over its 135i Coupe predecessor, with a 320 horsepower 3.0 liter TwinPower Turbo inline six engine mated to either an 8-speed sport automatic or six-speed manual transmission and a 0-60 mph time of 4.8 seconds will be offered at an MSRP of $48,650. The all new 2015 BMW 2 Series Convertible will arrive in U.S. showrooms in early 2015. The 2015 Lincoln Navigator full-size luxury SUV gets a new twin-turbocharged, direct-injected 380 horsepower 3.5-liter EcoBoost® engine mated to a six-speed automatic transmission that includes Lincoln SelectShift®, which allows the driver to manually control gears. 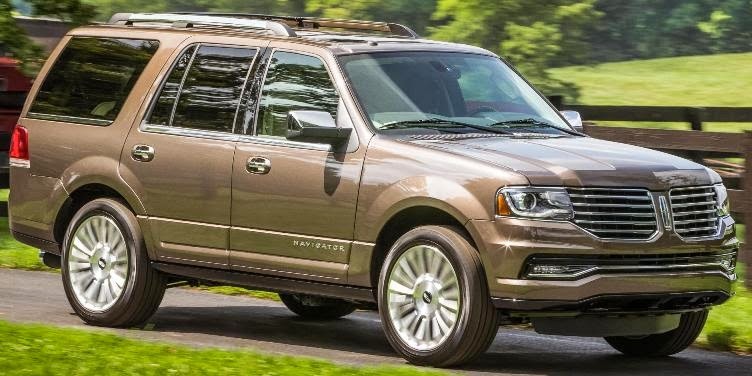 The 2015 Lincoln Navigator will also have a refreshed exterior design and enhanced interior appointments when it goes on sale this year for an MSRP starting at $62,475 (including destination and delivery charges). The 2015 Navigator continues to be available in two wheelbase lengths, standard (119.0 inches) and extended (131.0 inches) versions and can tow 9,000 pounds with maximum payload of 1,570 pounds. The standard-wheelbase 4x2 Navigator gets an EPA-estimated fuel economy rating of 16 mpg city, 22 mpg highway and 18 mpg combined. SYNC with MyLincoln Touch is standard. The 2015 Lexus RC 350 powered by a 306 horsepower 3.5-liter Lexus V6 engine teamed to an eight-speed Sports Program Direct Shift transmission for rear-wheel drive models and a six-speed automatic transmission for the all-wheel drive system. There's also an F SPORT version. Lexus crafted a new platform for the RC, borrowing only select parts from the IS and GS models. The RC 350 rides on a 107.5-inch wheelbase, is 184.8 inches in total length and measures 72.4 inches wide. The RC 350 arrives this Fall. The 2015 Jaguar XE sits below the XF and XJ models in the Jaguar four-door sedan lineup. The Jaguar XE S top-of-the-line model has a twin-Vortex supercharged 340 horsepower 3.0-liter V6 engine mated to an eight-speed automatic transmission with paddle shift controls that takes the XE from 0 - 60 mph in 4.9 seconds to an electronically-limited maximum speed of 155 mph. The new XE is powered by a range of four- and six-cylinder all-aluminum gas and diesel engines will full details of the entire XE range to be announced at the Paris Auto Show in October. 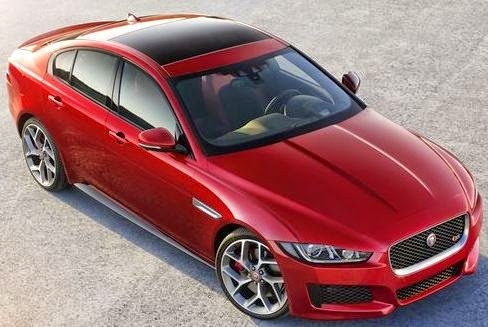 The Jaguar XE goes on sale next year. The 2015 Land Rover Discovery Sport seven-passenger compact SUV with a 240 horsepower turbocharged 2.0-liter engine, nine-speed automatic transmission and standard all-wheel drive will cost $38,920 (including $925 destination and delivery fee) when it goes on sale early next year alongside the existing seven-seat Land Rover LR4. It's the same turbocharged four-cylinder gasoline engine as the Range Rover Evoque. 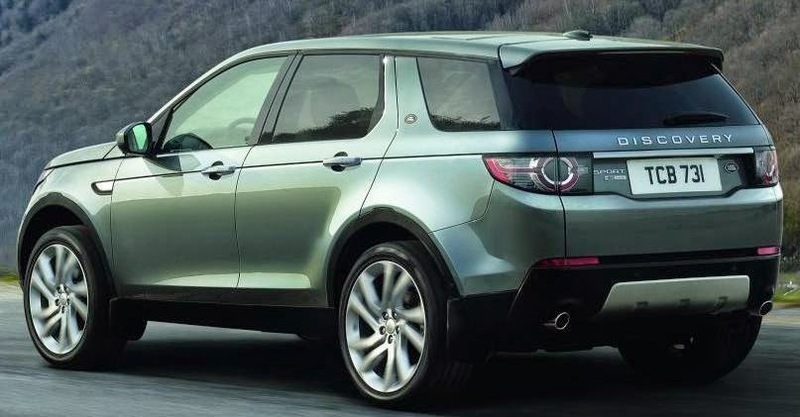 Discovery Sport is built on a 107.9-inch wheelbase with a 180.7-inch overall length. The standard infotainment system uses an 8-inch touchscreen display with access to audio, climate, telephone and navigation functions, while users can swipe to an additional two screens for WiFi hotspots, 4x4i and off-road displays, Eco Data and ambient lighting control. Satellite navigation is standard and features advanced 3D city models and landmarks. Voice commands can be used for satellite navigation and to select radio stations, dial phone numbers or to access stored contacts from the phonebook. Features include: Terrain Response® for off-road and slippery-condition driving, Hill Descent Control® for negotiating steep inclines off-road, Gradient Release Control® progressively releases the brakes when moving away on an incline for maximum control, Roll Stability Control designed to detect the onset of a rollover and applies the brakes to the outer wheels to bring the vehicle under control. The all-new fourth generation Mazda MX-5 was unveiled in Japan, USA and Spain and will be rolled out to global markets starting in 2015. As of July 2014, total production volume of the Mazda MX-5 exceeded 940,000. General Motors dealers delivered 272,423 vehicles in the United States in August, down 1.2 percent compared with last August, which was GM’s best sales month of 2013. Retail deliveries, which are sales to individual consumers, declined 4 percent. Fleet deliveries were up 9 percent compared with a year ago. Year-to-date total sales were 1,984,451, a 2.8 percent increase over last year. Ford Motor Company U.S. sales totaled 222,174 vehicles in August, up 0.4 percent from a year ago and the best August sales in eight years. Retail sales of 178,800 vehicles increased 2 percent, while fleet sales of 43,374 vehicles declined 6 percent. Year-to-date sales of 1,704,442 is an 0.2 percent drop from a year ago. Toyota, Scion and Lexus reported total August 2014 sales results of 246,100, an increase of 6.3 percent from year-ago month. Year-to-date Toyota, Scion and Lexus sales are 1,627,509, a 6.1 percent increase over 2013. Chrysler Group reported U.S. sales of 198,379, a 20 percent increase compared with sales in August 2013 and the group’s best August sales since 2002. Year-to-date sales of 1,386,169, is a 14 percent increase over last year. American Honda reported August 2014 Honda and Acura vehicle sales of 167,038, an increase of 0.4 percent versus August of last year. Honda division had sales of 151,551 vehicles in August while Acura posted sales of 15,487 in the same period. Year-to-date American Honda sales reached 1,042,382, down 1.1 percent from last year. Nissan Group announced total U.S. sales for August 2014 of 134,388, an increase of 11.5 percent over the prior year and an August record. Year-to-date sales of 960,317 is a 12.4 percent increase over 2013. Hyundai Motor America announced an all-time August sales record of 70,003, up 5.9 percent versus the same record-setting period in 2013 and only the second time ever the company has topped the 70,000 mark. Year-to-date sales of 501,448 is a 1.7 percent increase over 2013. Kia Motors America announced record August sales of 54,667, a 5.1-percent increase over the same period last year. Kia’s year-to-date sales are 404,389, up 6.9 percent. Subaru of America reported 50,246 vehicle sales for August 2014, a 22 percent increase over August 2013. August marks the best-ever sales month in company history, breaking the previous record set in July 2014 (45,714). Year-to-date Subaru sales total 333,968, a 19 percent increase over the same period in 2013. Volkswagen of America reported 35,181 vehicles delivered in August, a drop of 12.8 percent from August 2013. Year-to-date sales of 244,878 is a 13.4 percent decline from 2013. Separately, Audi achieved its best month ever in August on sales of 17,101 vehicles, a 22.1 percent increase over last year. Audi U.S. sales year-to-date of 116,066 is an increase of 14.5 percent over last year. The BMW Group in the U.S. (BMW and MINI combined) reported August sales of 32,220 vehicles, an increase of 5.5 percent from the 30,546 vehicles sold in the same month a year ago. Year-to-date, the BMW Group (BMW and MINI combined) is up 5.4 percent on sales of 245,974 in the first eight months of 2014 compared to the same period in 2013. Mazda North American Operations reported August U.S. sales of 31,305 vehicles, representing an increase of 11.4 percent versus last year. Year-to-date sales through August are up 9.6 percent versus last year, with 216,973 vehicles sold. Mercedes-Benz reported record-breaking August sales of 27,078, a 9.4 percent gain from the same month last year. Sprinter Vans August sales of 1,880, up 35.3 percent and smart sales of 1,334, up 34.3 percent bring total August sales for Mercedes-Benz USA to a record 30,292, increasing 11.6 percent from August 2013. Year-to-date, Mercedes-Benz sales total 205,894, up 8.2 percent while volumes of 15,577 at Sprinter and 7,332 at smart propelled MBUSA to a grand total of 228,803. Mitsubishi Motors North America August sales total was 6,786, a 28.5 percent increase over the sales total from August 2013. Year-to-date sales of 52,807, is a 29.3 percent rise over last year. Jaguar Land Rover North America reported August 2014 U.S. sales: Land Rover sales reached 4,489, down 9 percent from a U.S. brand record for the month in August 2013; Jaguar sales were 1,184, down 31 percent from in August 2013. Jaguar Land Rover North America August U.S. sales for both brands hit 5,673, a 15 percent decrease from August 2013, and are up 7 percent for the year. Volvo Cars of North America reported U.S. August sales of 4,960, down 10.1 percent from a year ago. Year-to-date sales are 39,184, down 11 percent versus the first eight months of 2013. Porsche Cars North America announced August 2014 sales of 4,540 vehicles, up 36.5 percent over last year. During the first eight months of 2014, PCNA has delivered 31,759 vehicles in the U.S., an increase of 11.6 percent over last year. The redesigned 2015 Toyota Sienna minivan with a standard 266 horsepower 3.5-liter V6 engine paired to an electronically controlled six-speed transmission has a starting base MSRP of $29,485 (including $885 delivery, processing and handling fees) for the Sienna L grade up to $46,150 for the Sienna Limited Premium all-wheel-drive when it begins arriving in dealerships later this month. The expected EPA-estimated mileage ratings are 18 mpg city/24 mpg highway (16 mpg city/22 mpg highway on AWD models). The Sienna will be available with four different EntuneTM audio systems, all of which come standard with either a 6.1 or 7-inch touchscreen display, USB 2.0 port with iPod® connectivity and Bluetooth® wireless technology. Sienna Limited and Limited Premium grades come with Entune Premium JBL® Audio with Navigation and App Suite that features 10 speakers including a subwoofer. Certain Sienna grades are available with a tow package that features a 3,500-pound towing capacity. The new Sienna is also available with Pre-Collision System with Dynamic Radar Cruise Control, Vehicle Dynamics Integrated Management and Hill Start Assist Control. Available Blind Spot Monitor with Rear Cross Traffic Alert helps drivers change lanes and back out of a parking space.